Dubai: Emirates Airlines has opened access to its special lounges to economy passengers for the first time, in a move that will generate additional revenues amid a challenging environment. “For the first time, you no longer have to fly First Class or Business Class to enjoy our exclusive lounges. 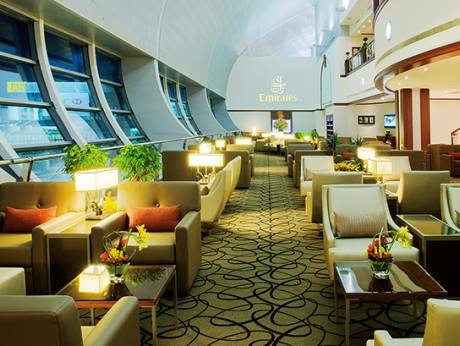 You can now pay to access Emirates lounges at Dubai International Airport, and bring guests who are also travelling on the same flight, for an additional charge,” the airline said in an email sent to low tier members of its Skywards loyalty programme. The fees can vary depending on the type of premium facilities that passengers wish to access. The Emirates lounge and all Business lounges will cost an Economy Class passenger an extra $100 and all first class lounges another $200. In October 2016, the airline started collecting an extra Dh50 to Dh150 from flyers who wish to choose their seats in advance or ahead of the standard two-day check-in window. The new fees apply to Economy Class Special and Saver fares and can vary depending on the duration of the flight. Emirates Group’s profit for the first half of 2016 dropped 64 per cent, owing to the strong US dollar and challenging operating environment for the airline and travel business.